FORT LAUDERDALE, Florida. According to the Tampa Bay Times, homeowners, business owners, and insured individuals have made 125,356 claims with losses estimated to be around $3.43 billion due to Hurricane Michael. The hurricane struck the Florida panhandle on October 10th, and families are still struggling to recover from the devastation. The aftermath of a storm can bring immense stress for homeowners and business owners. You may be juggling many tasks at once—like making an insurance claim, trying to find a contractor to repair your home, and struggling to return to normal. Times like these can make individuals vulnerable to fraud. In the wake of Hurricane Michael, there have been several insurance claims scams that have been reported by the news. Here are some things you need to know when making a claim or when making repairs on your home. Avoid transferring your “Assignment of Benefits” to a contractor. According to AARP, there can sometimes be a type of insurance scam where contractors agree to repair your home, but instead of asking for payment, the contractor asks that you sign over your “Assignment of Benefits.” On the surface this might sound like an attractive deal—you get your home repaired and you don’t have to deal with insurance companies. However, this can lead to the contractor delaying repairs, making poor repairs, or overcharging your insurance company. If your insurance company doesn’t pay the claim (and your insurance company might not pay an inflated claim), then you might find yourself stuck with the bill. These are commonly used for mitigation companies such as mold and/or water dry-out, removal and/or remediation. They are useful tools but you need to understand what you are assigning, whether it properly limits the scope of what is being assigned and whether it can be revoked. Always ask to see a professional license and ask about whether your contractor has worker’s compensation insurance for his or her employees. A professional should be able to readily supply this information. While you might be desperate to have your repairs done, you should always hire a licensed contractor. In the aftermath of a storm, most homeowner’s will have to be patient because there are only so many contractors available to do what is estimated to be billions in dollars of repairs. If your claim has been denied, you have a right to know why. Claim denials are not the only challenge individuals face. Too often, insurance companies offer insureds lower settlements than they may deserve. The office of Florida’s Chief Financial Officer is available to answer any questions you might have about the claims process or a denied claim. If your claim has been wrongfully denied, you may have the right to appeal the denial. A qualified insurance claim lawyer, like Leader & Leader, P.A. in Fort Lauderdale, Florida can speak to adjusters and fight to help you get the claim you may deserve under the law. Avoid poorly-done repairs, by always checking a contractor’s license. However, if you paid a contractor and repairs were not performed, or if repairs were performed poorly, you may have the right to seek damages from the contractor. Be wary if a contractor asks for cash or for a wire transfer. They can take your money and run, and finding a scammer afterward can be difficult. 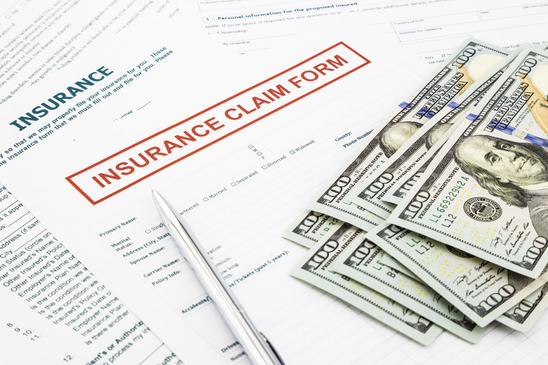 If you are struggling to file a claim, if your claim has been denied, or if you are being offered a lower claim than you believe you deserve, reach out to Leader & Leader, P.A., insurance claims lawyers in Fort Lauderdale, Florida today.